Why Become an AQUASEAL Dealer? 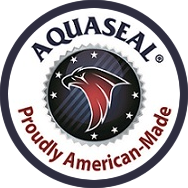 As an AQUASEAL® Authorized Dealer you are offering your customer genuine leather care products. Their time-honored formulas produce uncommon results in cleaning, conditioning, rejuvenating and waterproofing all types of leather footwear. A “solution product,” AQUASEAL will provide you with a constant, hassle-free income flow. Our products have a staying power you can count on season-after-season. We make it hassle-free for you to buy it. Our attractive, straightforward packaging makes it easy for you to sell it. Everybody who wears leather boots, shoes, skates or cleats, will value from using AQUASEAL products. What they’re wearing will feel better, look best, and last longer. To the last point, “last longer” means saving money. These days who doesn’t want that? When you offer a genuine leather care product, you can be confident in its results. This is a manufacturer’s guarantee that provides your customer a supreme level of confidence when buying AQUASEAL products from you. In the unlikely event they aren’t completely satisfied, we’ll refund their money. We ship on time. We give you in-season fill-ins to maximize your sales. We have a long history of reliability. We’d like the opportunity to prove it to you. Our minimums are small, making it easy for you to give us a try. We do this because we’re confident you’ll be back for a lot more. It’s the “once you’ve tried AQUASEAL it becomes part of your routine” thing. 5. We make you money year round. AQUASEAL is an important year round need everywhere. All New Product Packaging… that cuts through the clutter. It concisely relates what the product will do, and what the benefits are to your customer. Makes buying easy. A New Website… dedicated to informing consumers on how AQUASEAL products benefit them, and persuading purchase from you. Visual Selling Support… visual display trim designed to help consumers notice and purchase, while using minimal shelf space in your store. How Do I Become an AQUASEAL Dealer? Email us by clicking here. You’ll hear back from us promptly. Write us at Trondak, Inc. 17631-147th S.E. #7 Monroe, WA 98272. We’ll respond promptly.